In the past two years Southern Oregon and many other places have been hit hard by wildfires. These fires cause damage in many other ways than people are aware. 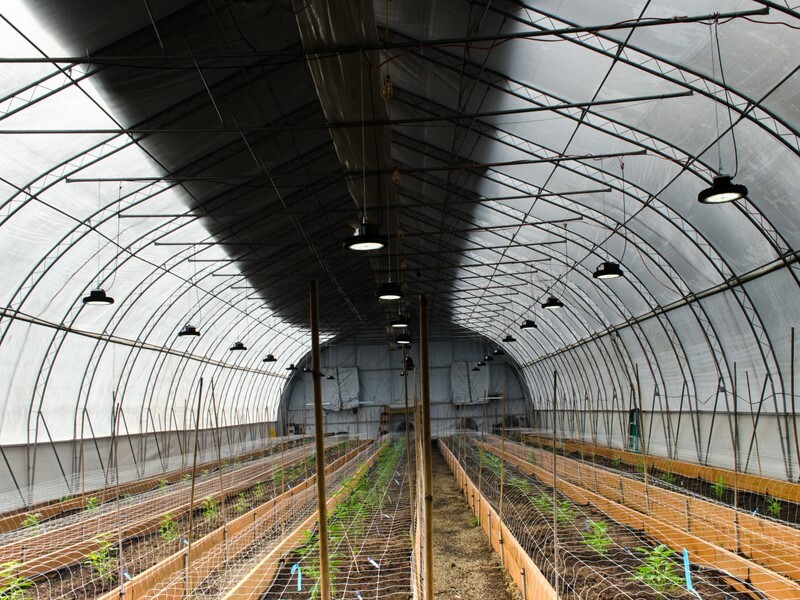 Since Cannabis has been legal in Oregon since 2015 it has been a booming industry with farms popping up left and right. Many farmers have outdoor grow operations and rely on the weather to provide healthy crops. The negative to doing this is, you can't control the weather. So when the fires hit, smoke was thick through the sky, blocking the necessary sunlight that gives life to these plants. Many crops didn't grow as expected and neither did the farmer's wallets. Since this "Green Gold" rush hit Oregon in 2015 the market has become saturated with an estimated 1.3 million pounds of excess weed and farmers need to be on top of their game in order to make the profit they are seeking. With so many variants that can ruin the cash flow, many growers have converted to indoor operations. When growing in greenhouses you can control the humidity, temperature, light and time. Time you ask? Well when growing indoor with lights, you can grow all year long instead of just a season. Now this is where things can get tricky, there is a negative to growing cannabis with lights and that is cost. Most farmers are used to using HID lighting but that can run you up to a $1.80 per day, per light. This can eat into a lot of your profits which isn't a great thing considering Oregon's cannabis prices have dropped nearly 50% since the boom. But this is where Power And Control can come in and help. With technology advancing faster and faster every year, LED lighting is at the top of its game now. LED lighting can grow beautiful crops like the HID lighting but at half the cost! Now that isn't the end of the savings either. 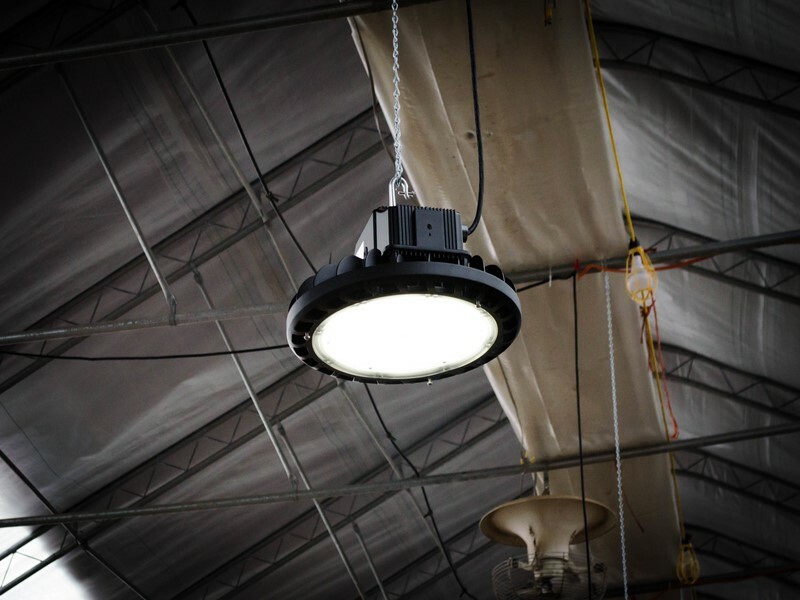 In Oregon we have energy trust rebates for installing LED lighting which can earn you money back up to 50% on these fixtures currently when switching from HID to LED lighting. 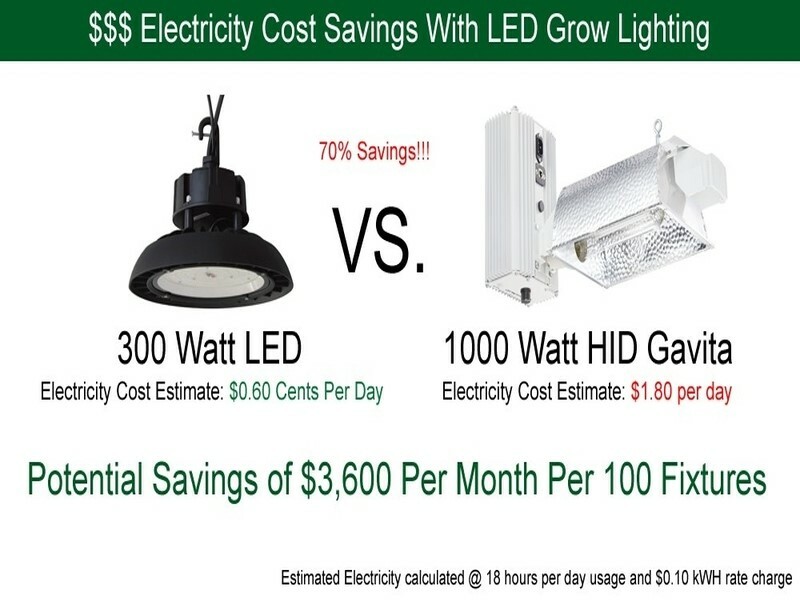 With a potential to save over $43,000 your first year of having LEDs and growing your profits even more, whats stopping you now? Here is a farm that purchased our UFO LED lights to grow their plants! These LED lights in the images above are called LUHB1-280W UFO lights. They have a total of 41,250 LUMENS! Which comes out to 144 lumens per watt! These are equivalent up to a 1200 watt HID light! Made from die cast aluminum and Philips Lumileds! If you have any other questions about this light or would like to purchase these lights, please check out https://shop.powerandcontrol.com/LUHB1-280w-UFO_p_197918.html or give us a call at (541) 779-8062. We are open Monday-Friday 8am-5pm.